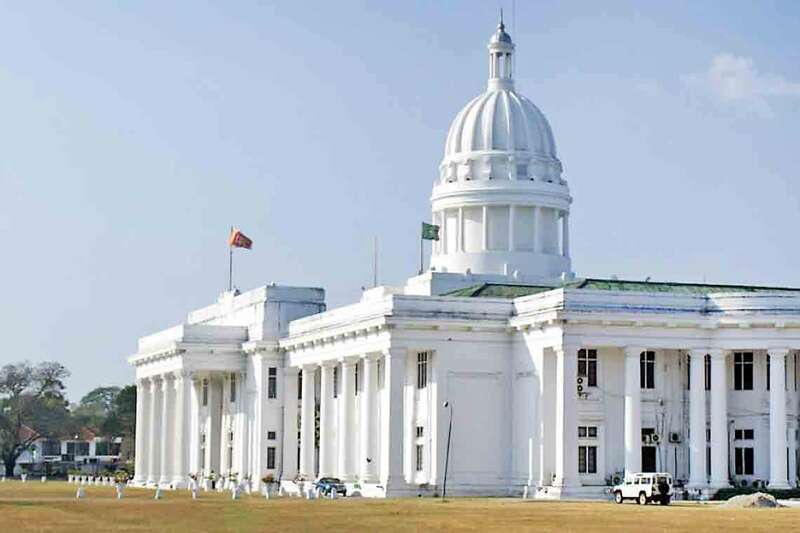 The attempt to bring the former Colombo Municipal Commissioner back to office by a group of UNP Municipal Councilors has raised eyebrows in the council. Former Colombo Municipal Commissioner V.K.A. Anura was removed from office early this year on the recommendation of the Presidential Commission. This was after the commission probed into the collapse of the Meetotamulla garbage dump and found that he had failed to take necessary action to prevent the catastrophe, which occurred on April 14, 2017. President Maithripala Sirisena appointed a one member Presidential Commission headed by retired Justice of the Court of Appeal Dr. Chandradasa Nanayakkara on April 26, 2017 and the report related to the probe was released on October 26, 2017. The report reveals how the former Municipal Commissioner failed to take necessary action to avert the garbage dump collapse despite he being informed by the officials on the looming threat well in advance. It had also come to light how the chemical that had been sprayed on the Meetotamulla dump to eliminate its odor, a few days before the tragedy occurred, is alleged to have caused the collapse killing nearly 30 people. The former Commissioner is also accused of paying enormous amounts of money to garbage carriers while huge amounts of money comparing to his predecessor’s time, had been paid to a private company to flatten the dump without calling for quotations. “Considering the amount of money that had been spent to flatten the garbage dump, it is questionable as to how it collapsed. Had the dump been flattened regularly, and considering the payments made by the CMC to the contractor, how could the garbage heap rise up to 150 feet high? Why didn’t the CMC lay soil in between the garbage layers to tighten the heap together to avoid a downfall?” CMC member Shamila Gonawala queried. 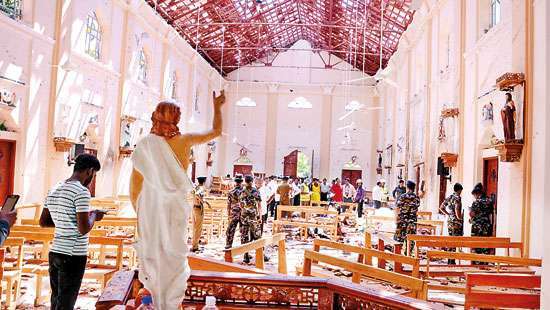 According to the revelations, despite the looming risk that was brought to the notice of the Municipal Commissioner by the Divisional Secretary Kolonnawa on April 7, 2018- which was one week before the tragedy stuck- Commissioner V.K.V. Anura had ignored the recommendations. He had also failed to take prompt action to avert the calamity. 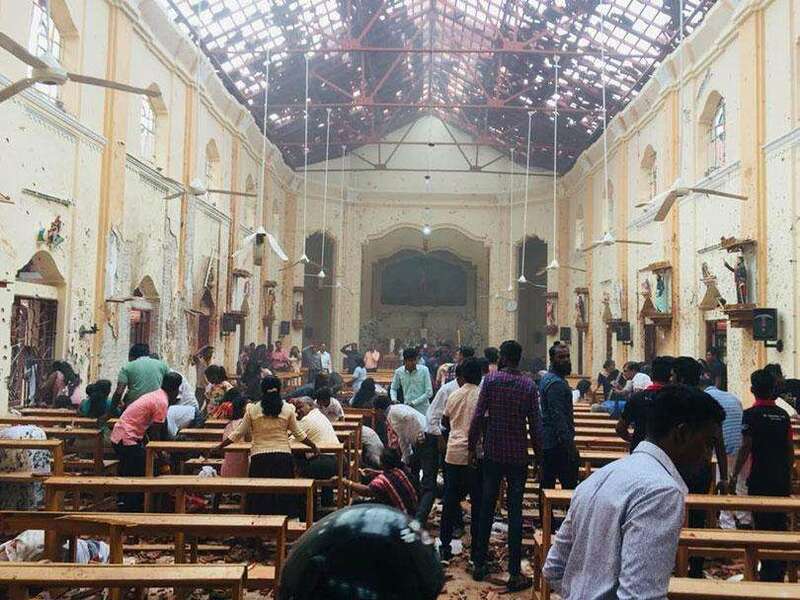 Had the Commissioner taken necessary action the municipal councilors are of the view that the tragedy could have been avoided along with the deaths associated with it. Although the report shows that the former Commissioner had neglected his official duties during his tenure in office, questions have been raised as to why the members of the good governance administration in the CMC that pledged to stop corruption are now demanding the former’s reinstatement? “We are surprised as to why the UNP councillors are trying to get the Commissioner reinstated despite the allegations levelled against him. Let the accused V.K.A. Anura get his name cleared and take over his former duties. When there is proof as to how Anura was engaged in malpractices, why are the UNP council members trying hard to get him back? Is it because they too can join the Commissioner and earn a few million rupees before their terms in office lapse?” alleged Gonawala. Gonawala further stated how an enzyme, said to be an odor eliminator, had been purchased by the Commissioner without calling for tenders and checking its efficacy. Millions of rupees had been spent on this exercise. Sources from the CMC Payment Branch said that a proposal to supply the questionable odor eliminator had been received by the former Commissioner. The proposal was made by a private supplier from Nugegoda on June 13, 2016. This enzyme- Rydall-OE was to be sprayed to eliminate the odor at the Meetotamulla dump. But later it was revealed that rather than eliminating the odor, the enzyme is used to break waste into molecules and speed up the decay process by hundred percent. This process is alleged to have caused the garbage dump to collapse. “Once this was sprayed before tragedy struck, it may have sped the decaying process. Since there was no soil in between the garbage layers, the garbage dump may have crashed into the adjoining buildings,” Gonawala opined. When contacted councillor Dr. Pradeep Kariyawasam, the former Chief Medical Officer of the CMC, told the Daily Mirror that this enzyme is used to clear blocked sewer pipeline because the blocked particles easily breaks into molecules. According to Dr. Kariyawasam, before using such an enzyme or a chemical, the Municipal Council has a responsibility to get its efficacy tested in a laboratory and see whether it serves the purpose. “Without obtaining any such reports, the CMC had purchased this enzyme trusting the supplier’s recommendations,” Dr. Kariyawasam said. Meanwhile a senior CMC laboratory technician, who wished to remain anonymous, told the Daily Mirror that before purchasing a new chemical or an enzyme there is a process that has to be followed to see whether it is environmentally friendly. “Just because some party recommends we cannot make any purchase. We have to check whether this has been checked in a local laboratory and its report. We must see whether this product has been granted registration in Sri Lanka and also whether it is an environmental friendly chemical. 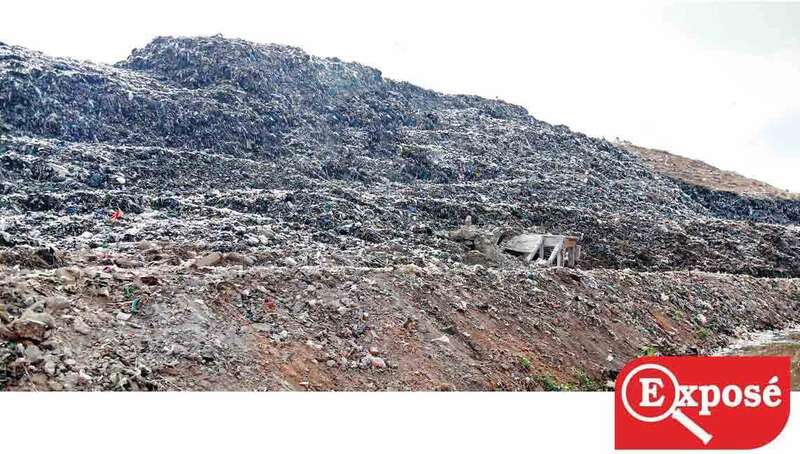 Meanwhile, Chairman Standing Committee on Solid Waste Management at the CMC Mahendra de Silva, at a recent council meeting, has challenged Municipal Councillor Sharmila Gonawala to prove that this enzyme was sprayed on the Meetotamulla dump. If the enzyme was sprayed he is ready to give up his post as councilor as there are no documents with the CMC to prove that Rydall-OE was sprayed on the Meetotamulla garbage dump. It was spayed only on the Kerawalapitiya dump. However, a high official at the Colombo Fire Brigade, who wished to remain anonymous, told this newspaper that the CMC cannot claim that this enzyme was not sprayed on the Meetotamulla dump, as it was the Fire Brigade fire trucks that were sent to Meetotamulla to spray this enzyme on the request made by the Solid Waste Engineer Sampath Abeysinghe, who was in charge of the Meetotamulla garbage dump. 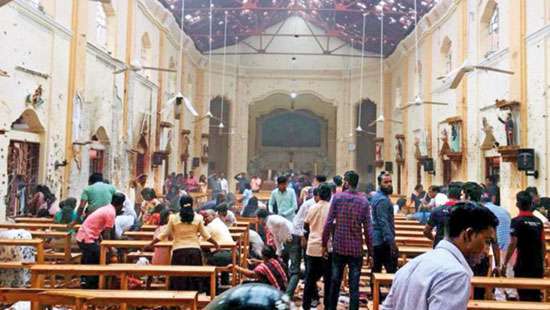 “Let these officials check the Fire Brigade running charts to get an idea of how many bowsers were dispatched to Meetotamulla on the request of Engineer Abeysinghe. We released the bowsers two to three times a week to spray the enzyme,” sources said. 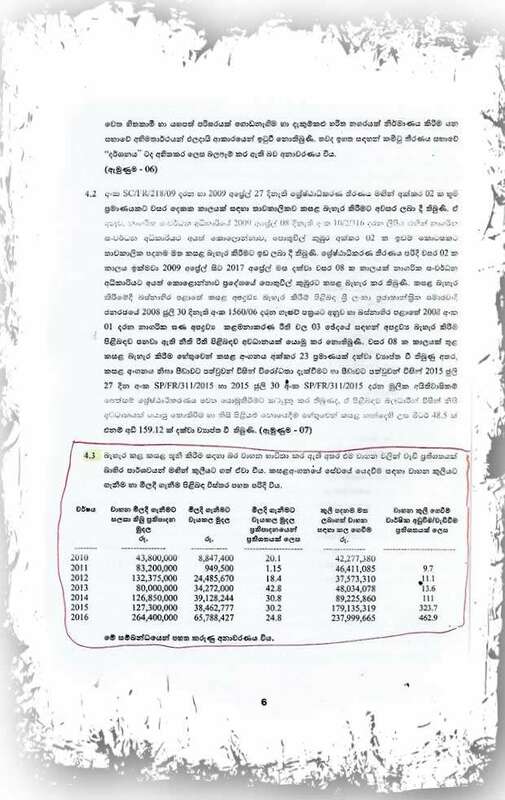 When contacted Engineer Abeysinghe confirmed with this newspaper that Rydall-OE was sprayed on a few occasions on the Meetotamulla dump just before the collapse. Meanwhile, sources from the payment branch further revealed as to how the former Municipal Treasurer K.D. Chitrapala raised concerns regarding this enzyme and made several requests to V.K.A. Anura not to make the purchase as the supplier had presented several misleading facts with regard to the odor controlling enzyme. According to the sources, the letter sent on June 13, 2016 by Dilshan Mihiranga, Process Engineer/ Application Specialist of United Glass Lanka (Pvt) Ltd, has stated that spraying Rydall-OE, the eco-friendly, odor eliminator, on the garbage dump is presented as an immediate and sustainable solution to the odor that discharges from the dump. 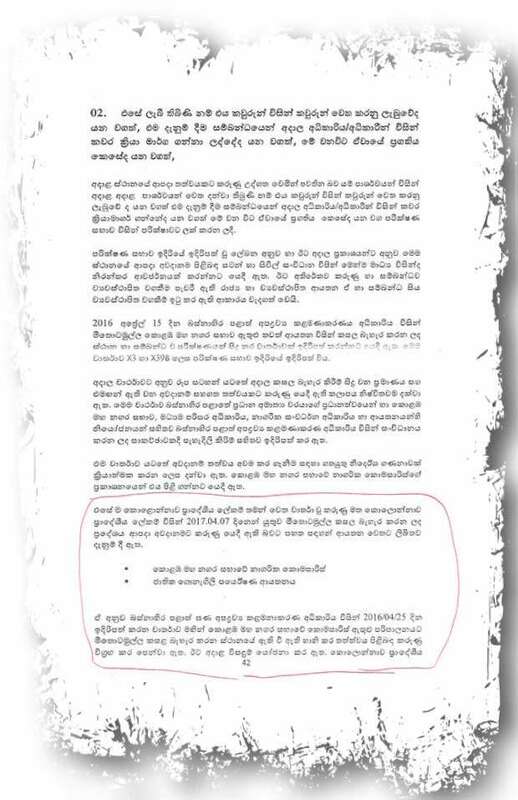 The letter further states how Prof. Nilanthi Bandara, Dr. B.G.N. Sewwandi, Dr. Anuruddha Karunaratne and Dr. U.G. Ratnasiri of Universities of Sri Jayawardenapura, Kelaniya, Peradeniya and Moratuwa respectively will bear testimony to how these odorous gases eliminate through a gas analyzer. However, this claim had been refuted by the above four academics via e-mails when they were contacted by Chitrapala. “These four Professors had informed that they were unaware of such an enzyme nor of its effectiveness and that they do not have any connection with the supplier. They had raised their concern regarding the using of their names without their knowledge for business purposes. Chitrapala had informed this to V.K.A. Anura and asked how to trust such a supplier, who had tried to mislead the CMC. Chitrapala did not want to purchase the product without calling for tenders. He had also warned the Accountant (Payment) not to heed any illegal instruction and make payments. He also brought to their notice that if any purchase was done and payments were settled, those who gave the orders and those who implemented them should be responsible to the Government auditors. However the then Commissioner in his reply had noted that he had informed the President and Prime Minister of the necessity to use Rydall-OE in order to offer a long awaited solution to those who were suffering from the odor,” sources alleged. Meanwhile, in the special Auditor General’s report on Solid Waste Management of the CMC, dated March 16, 2018, has revealed how the former Commissioner was involved in irregularities in making payments to the vehicles hired from a private company to flatten the garbage dump has gone up from 9.7% (comparing with 2010 costs) to 462.9% after V.K.A. Anura took over his duties as the Municipal Commissioner in 2015. According to the Audit Report, in 2010 the CMC had spent Rs.42.277 million to hire bulldozers, excavators and tippers to bulldoze the garbage dump while for 2011 the expenditure was Rs.46.411 million. The expenditure for this purpose in the following years is as follows; for 2012 it was Rs.37.573 million, in 2013 it was 48.034 million and in 2014 it was Rs.89.225 million. However, after Anura took over office as the Colombo Municipal Commissioner in January 2015, the hiring charges have skyrocketed. For 2015 the charges were Rs.179.135 million and for 2016 it was 237.999 million. The report further states that although an excavator and two bulldozers belonging to the CMC too had been used to bulldoze the dump in 2016, the hiring charges had not declined compared to the previous year. According to the Audit Report, the Government of Japan had donated 12 garbage carriers to the CMC on March 8, 2016. Despite this, the CMC had extended the contract with the company that rented out garbage carriers even though the vehicles donated by Japan were sufficient to collect the city’s garbage. 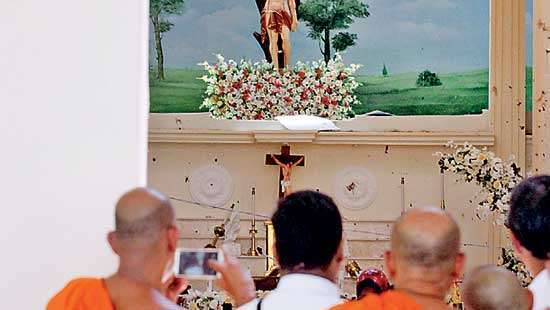 According to councillor Mahinda Kahandagama, the contract to hire the garbage carriers ended on August 13, 2016 by which time the CMC had received the Japanese donation which sufficed to collect and transport the garbage to Meetotamulla. “Claiming that it takes time to train the CMC drivers to operate the new Japanese vehicles, the CMC had extended the contract up to June 23, 2017. When running charts were examined by the Government Auditors, they found out that these 12 garbage carriers had been in operation since August 2016 as the officials from the Japanese company had trained our drivers on how to operate the vehicles within a day. Knowing that the CMC drivers had been provided with the necessary training in August 2016, what made the council extend the contract up to June 2017? How many millions have been spent during that period unnecessarily,” queried Kahandagama. However, refuting allegations, former Commissioner V.K.A. Anura told the Daily Mirror that he was not involved in any irregularity and added that he was waiting to return to the CMC as its Commissioner. “My opponents are accusing me of purchasing an odor control enzyme and spraying it on the garbage dump which resulted in it collapsing on April 14, 2017. I request them to show any document to prove that I purchased this enzyme and sprayed it in Meetotamulla. There was a proposal from a private company to supply this enzyme to eliminate the odor at Meetotamulla. I planned to purchase this product, but could not,” V.K.A. Anura said. In the backdrop of this denial it is up to the authorities to ascertain the veracity of the claims made in the wider interest of the public. Meanwhile the Special Government Audit Report gives details as to how the vehicles had been hired to flatten the dump at a higher charge without following Government procurement guidelines. Questions are asked as to why the CMC extended the contract period to hire garbage collection vehicles despite the council receiving the necessary number of vehicles from the Government of Japan. The former Municipal Commissioner said that during the previous regime, it was the Sri Lanka Army that had provided the vehicles to bulldoze the dump on the instructions of the then Defence Secretary Gotabhaya Rajapaksa. Anura alleged how the Special Audit Report was prepared by the Auditor General on the request of the former Treasurer K.D. Chitrapala as both are good friends. “Because of the friendship between these two, a special Audit Report was released to discredit me. With regard to the irregularities created by few officials at the Council, why do they accuse me? I thoroughly refute the allegations levelled against me in this special Audit Report as I have not done any wrong. I have followed the proper procurement guidelines and Financial Regulations,” Anura added. When asked as to why he issued a letter to prevent preaudits before making any payments, the former Commissioner said that he wanted to correct the internal auditors by ensuring that they don’t carry out audits before payments are made. “The CMC is the only institution that allows the internal auditors to audit pre-payment vouchers instead of auditing post payment vouchers. There again I have followed Government Financial Regulations,” Anura said. According to Anura, the CMC had obtained Army vehicles to bulldoze the dump on the instruction of Gotabhaya Rajapaksa. The CMC had only paid the fuel cost to the Army, but not hiring charges. “That was why the hiring charges during the former regime was very low. But the CMC had stopped obtaining the army vehicles from June 2014 and had to hire them from a private company which was why the prices went up since mid-June 2014,” V.K.A. Anura said. 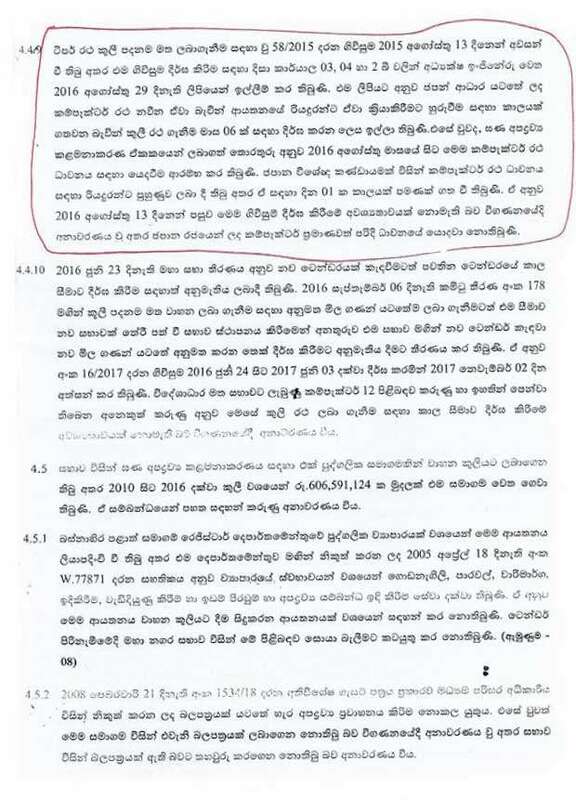 Managing Director United Glass Lanka (Pvt) Ltd Bandara Batuwegedara too said that the enzyme that had been used at Meetotamulla a few weeks before the collapse was not supplied by them but had been supplied by an interested party to discredit his company and the product. “When we gave our proposal, the former Municipal Treasurer tried to underestimate our product. But the treasurer reached us asking for money to evaluate this odor eliminator in order to purchase it. Neither I nor my company would go from the back door and obtain any favourations. So I declined to offer him a bribe. That is why certain CMC members are levelling allegations against this product,” Batuwegedara said. When asked why they gave the names of four professors to obtain their views of the odor control enzyme to which the four university academics had written to the CMC claiming that they did not know either this product or the company, Batuwegedera said that he has never used their names for any personal benefits, but only made a request to the CMC to ask these specialists to check the chemical and to obtain a report about its efficacy. “What is wrong in recommending the names of four university academics to get their recommendation on this product? We have neither approached them nor have we spoken to them. We submitted their names and contact details for the easy reference of the CMC,” Batuwegedara claimed. According to Batuwegedara, he has supplied the enzyme in question to the CMC to be used at the Kerawalapitiya garbage dump for a few months, but added that he does not supply it now. All attempts made by the Daily Mirror to contact Colombo Municipal Commissioner Lalith Wickremaratne weren’t successful.